Running parallel to the western coast of India, the Western Ghats is a mountain range which is mainly characterised by a pleasant weather throughout the year and the presence of lush greenery that you cannot find elsewhere in South India. Predominantly spread across five states, i.e., Kerala, Karnataka, Maharashtra, Goa and Tamil Nadu, it starts near the town of Songadh in Gujarat. It is rightly said that if you are looking to witness the magic of heavenly nature, then the Western Ghats is the destination you should visit. You can find each and every natural wonder within its boundaries. Forests, hill stations, lakes, parks, sanctuaries, gardens, farm fields, waterfalls, rivers, trekking trails, grasslands and everything a nature lover would wish for, you can savour here. Hence, it is perfectly fine to call it God's garden. Following are the major facts about the Western Ghats that will leave you awed and compel you to explore its deep corners. Yes, the Western Ghats is a UNESCO World Heritage Site and is counted amongst the hottest hotspots of biological diversity in the world as it is home to thousands of species of plants, animals, insects and birds. As per the latest reports, it nurtures more than 9000 species of plants, 140 species of mammals, 500 species of birds, 6000 species of insects and 250 species of aquatic animals. Isn't it a world filled with enchanting wonders of nature? If you are a nature lover and are looking for a destination where you can spot rare beauties of nature, then the Western Ghats is the place where you should be this season. You read that right! The Western Ghats is home to more than 500 hill stations and 1000 trekking trails though most of them are still unexplored and unknown. Where else in India can you find such an amazing expansion of nature? Certainly nowhere. The major hill stations which are nestled in the echoing green valleys and atop the lush hills of the Western Ghats include Ooty, Coorg, Munnar, Ponmudi, Mahabaleshwar, Matheran and Kudremukh. How about a trip to this wondrous beauty this weekend and exploring its unveiled beauties lying in the form of hill stations? It is cent percent sure that once you have found yourself amid the heavenly presence of this enthralling mountain range, you would certainly love to settle here forever; such is its lively aura. Ever heard of this rare beauty? If not, then the Western Ghats is your next destination. Apart from the purple frog, you can also spot several other rare species which can only be found within the forests of the Western Ghats. The list includes species like Malabar civet, bronzeback vine snake and lion-tailed macaque. As this mountain range houses numerous wildlife sanctuaries and national parks, you can also spot several endangered species of plants and animals. An ultimate beauty that you can find in the shola forests of the Western Ghats is Neelakurinji flower, which blooms once in every 12 years. If you desire to witness squashy grasslands coloured with the species of blue, maroon and red Neelakurinji flowers, then this is the season you should consider planning a trip to Munnar. Eventually, after 12 years, you get to savour the beauty of these rare flowers and treat your eyes with their majestic appearance atop the lush green hills of Munnar in Eravikulam National Park. The flowers will start blooming by the end of July and you can enjoy their beauty until October. The Western Ghats is also the major reason behind the occurrence of monsoon in the western coast of India. After all, it houses misty mountains, lush green hills and beautiful streams, due to which precipitation becomes easy. During the monsoon season, you can watch the entire Western Ghats covered in tiny droplets and filled with a foggy atmosphere. Stretching up to 1600 km from the state of Gujarat to Tamil Nadu, it is one of the lengthiest mountain ranges in the world. It leaves behind the great range of the Alps which has a length of 1200 km. 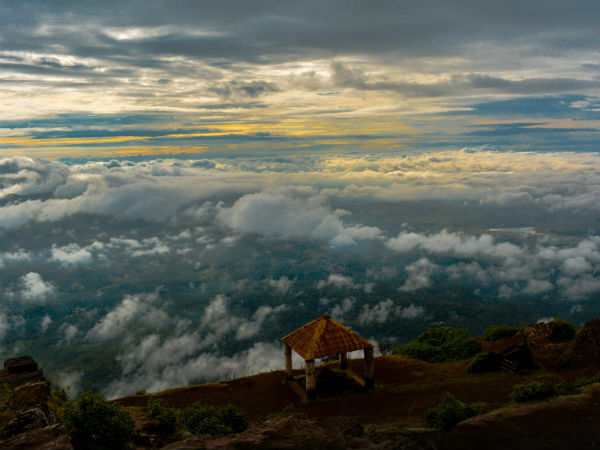 Don't you think the Western Ghats deserves to be explored now? To your surprise, the entire expanse of the Western Ghats is larger than those of countries like England, Denmark and Bangladesh.